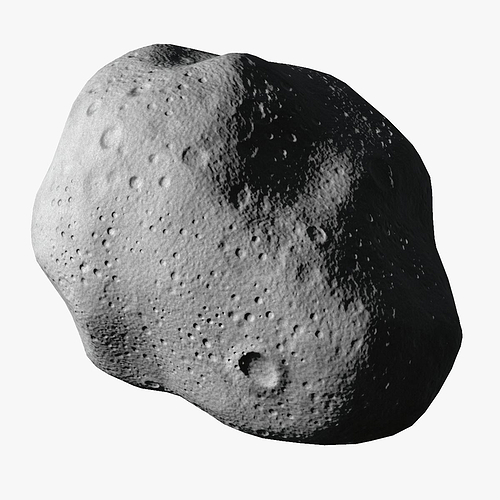 Detailed asteroid. Optimised asset for games and realtime renderers. Diffuse and Specular maps included (2x .png) Fully textured. Texture resolution: 4096x4096. Clean mesh. All tris. No ngons or isolated vertices. Clean non-overlapping UVs. Normal maps have are baked in xNormal / Mikk tangent space. Original zBrush sculpture included for ultimate versatility.